Rainbow pride tattoos can be an excellent way to show your gay pride, or your solidarity with the gay pride movement. This order of the rainbow comes from the visible spectrum of colors within white light, and is often abbreviated ROY G BIV. When represented in art or other man made circumstances, the blue and indigo (dark blue) are often merged into one color. There are several groups that use the rainbow as their symbol, because of its beauty and representation of all things coming together. The Rainbow Coalition is a social action group from Chicago, IL that was started by Jesse Jackson in order to start social reform. Rainbow Gatherings are groups of hippies that come together in public areas in order to share the ideas of peace, love and freedom. These gatherings have been held since the 1960's. Most people who choose to use the rainbow, such as in rainbow pride tattoos, are members of the Lesbian, Gay, Bisexual and Transgendered community. 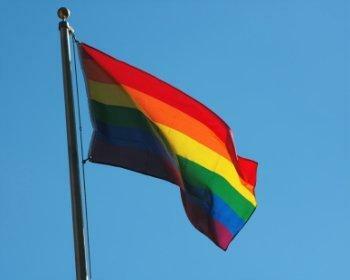 The rainbow is the symbol and decoration on the Gay Pride Flag, which was designed in 1978 by Gilbert Baker. It was first used in that year's San Francisco Gay Freedom Celebration. 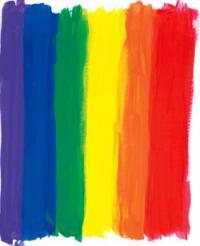 The rainbow was chosen because the gay community is also referred to as "rainbow people", and also as a representation of the ideal place as shown in the song "Somewhere Over the Rainbow". 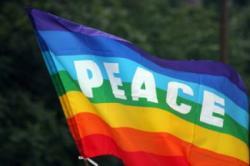 The colors as seen in gay pride images and on the flag are displayed with red at the top and progress through the rainbow to purple at the bottom. Today, these colors (in this order) are often seen within other symbols and on other types of images - including bumper stickers and jewelry. Some LGBT groups use the rainbow within a triangle. The triangle was a symbol that was forced upon the gay community by Nazis during World War II, and by combining it with the rainbow, the community is effectively "taking back" this symbol and making it a symbol of pride. As with any tattoo that is representative of a culture or religion, there are people who feel that rainbow pride tattoos are not acceptable. Some of these people are members of the gay community, who are not as active in showing their sexuality, while others are those who are quite possibly homophobic. These reasons mean that getting a rainbow tattoo is a very personal decision. Do not take the thought of marking yourself permanently with your sexuality lightly - while it may not change, you may find yourself in later years wishing you hadn't gotten such a vibrant indication of your sexuality.If you do choose to get a pride tattoo, be sure to find a tattoo shop that is gay friendly. Many cities have sections that are more accepting and open to all life choices, and it is a good idea to visit a tattoo parlor in this area. Getting recommendations from other tattoo lovers and friends can also help you to choose the right shop for your new tat. Whatever you choose to color in this manner, you can be sure that people will recognize your pride for the gay community when you wear rainbow pride tattoos.